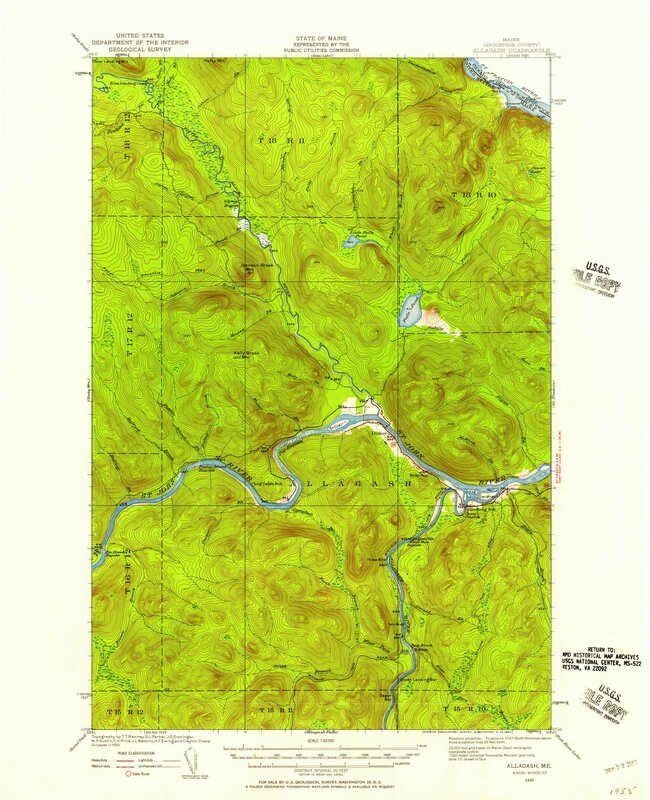 Click the button below to add the Allagash, Maine 1930 (1957) USGS Old Topo Map Reprint 15x15 Quad 460075 to your wish list. The print size is the size of the sheet. The map image is roughly centered on the sheet. Margins may be diffenent than the on-line image of the original map due to proportions of the original. For example a 17x22 original map will have wider side margins than pictured when printed onto a 16x25 sheet.